The best thing about the Andes is that it is the backbone of one of the most spectacular continents on earth – South America. The Andes is the world’s highest mountain range outside Asia and the longest continental mountain range in the world extending through 7 of South America’s countries – Venezuela, Colombia, Ecuador, Peru, Bolivia, Chile and Argentina. The terrain of the Andes is extremely varied and encompasses volcanoes, glaciers, desert, lakes, grassland and forests. There are archaeological sites to be found here, colourful markets, indigenous culture and wildlife ranging from Andean condors to chinchillas and alpacas. The opportunities for exploration, sightseeing and adventure are endless! If trekking is your thing – you won’t be disappointed. The most famous Andean trek is the Inca Trail to Machu Picchu, the “Lost City” of the Incas. Built over 500 years ago, this spectacular trail takes you across mountain passes, through lush jungle, past villages and ruins until finally you come to the Sun Gate and catch your first sight of Machu Picchu. Why not trek further, and climb Huayna Picchu or Machu Picchu Mountain, both offering unparalleled views over Machu Picchu Sanctuary and the surrounding mountain scenery. Other options for trekking to Machu Picchu include the Salkantay and Lares treks – less travelled than the Inca Trail – but equally beautiful and also offering an insight into the traditional Andean way of life of the indigenous people. The Andes range offers more trekking opportunities in the form of volcano ascents. There is Volcano Villarrica in Chile – one of Chile’s most active volcanoes that rises above Lake Villarrica and the town of Villarrica. In Peru there is El Misti, standing at over 5,800 metres in southern Peru. Its symmetrical cone is often snow-capped giving a stunning backdrop to the beautiful city of Arequipa. Ecuador offers Cotopaxi, probably the most famous volcano in South America, and one of the highest active volcanoes in the world. It lies south of Quito reaching a height of 5,897 metres. Patagonia lies at the southern limit of the Andes and offers a vast number of landscapes and outdoor pursuits. Torres del Paine is one of the most spectacular National Parks in the world. The W Trek is one of the classic treks in the park and the Paine Circuit around the famous Torres del Paine Massif is one of the world’s top trekking routes. The scenery is breath-taking. The park also offers great wildlife viewing opportunities. It is home to ostrich-like rhea or ñandú, Andean condor, flamingo, guanaco, Andean deer and even puma. To the north of the Patagonian Andes lies the Lakes District. Straddling the Chilean Argentinean border, this stunningly beautiful part of South America encompasses crystal clear lakes, snow-capped volcanoes and thick forests. On the Argentinean side, Nahuel Huapi National Park includes the Cerro Catedral peaks with great opportunities for mountain walking. 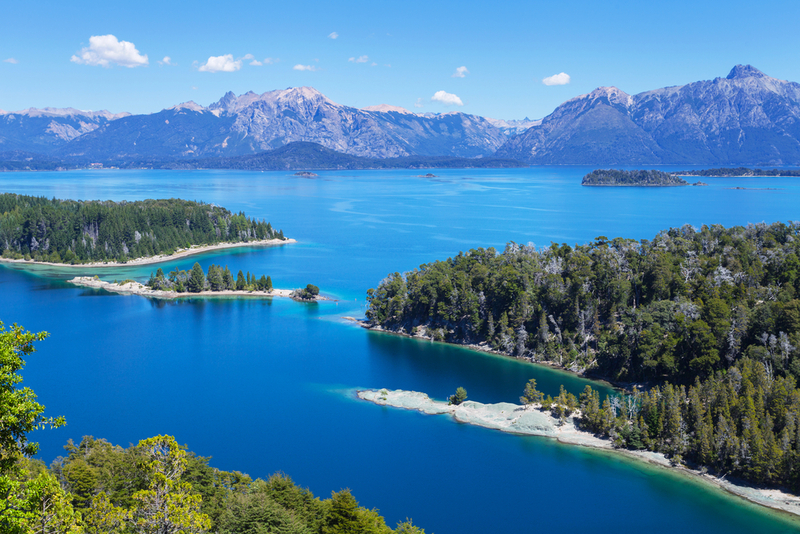 The Park is only a short distance from San Carlos de Bariloche that lies on the southern shores of Lake Nahuel Huapi in the foothills of the Andes. The Andean Lake Crossing between Bariloche and Puerto Varas is the most spectacular way to travel from Argentina to Chile or vice versa and exposes you to the magnificence of the Andean landscape. In the Bolivian Andes lies the Salar de Uyuni, the largest salt desert in the world. The Salar de Uyuni covers 12,000 square kilometres of the Bolivian Altiplano and is fringed by the Andes Mountains. The salt in the salt flats is over 120 metres deep. 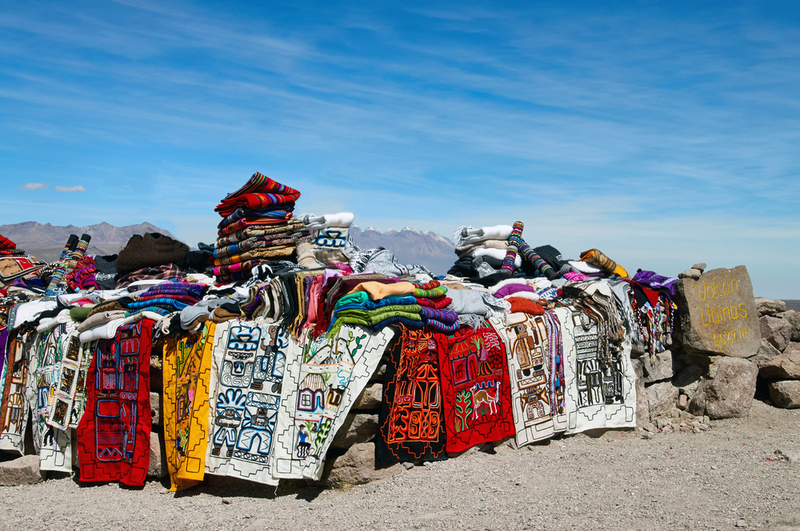 Check out the Cementerio de Trenes (Train Cemetery) in the town of Uyuni and the Museo Arqueología y Antropológico de los Andes Meridionales, a small museum featuring mummies, long skulls, fossils, ceramics and textiles. The Andes are also home to many beautiful and historic cities including Cusco, Quito, La Paz and Arequipa. Cusco, the Imperial City of the Incas, is set in the Peruvian Andes at an altitude of 3,400 metres above sea level. 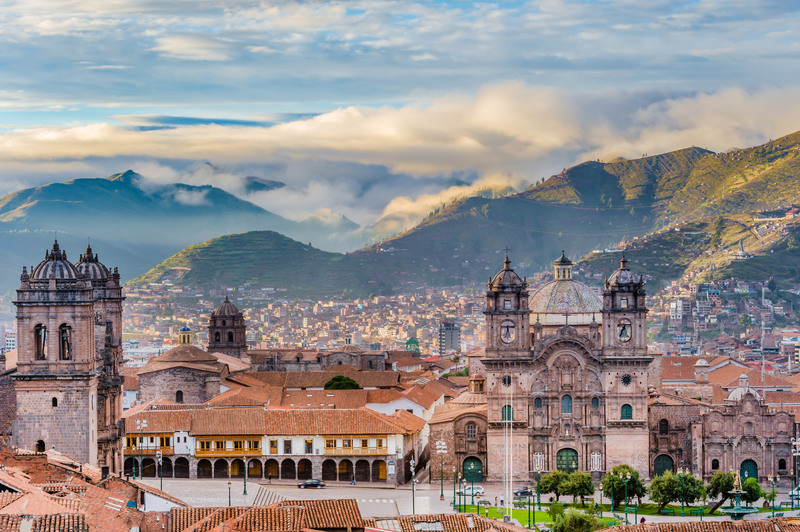 Once the capital of the Inca Empire, it is now a UNESCO World Heritage Centre, boasting beautiful Spanish colonial architecture and narrow cobble-stoned streets lined by Inca walls. Many of the colonial buildings were built on top of Incan foundations. Cusco is, of course, the gateway to the Inca Trail to Machu Picchu as well as many other Inca Sites in the Sacred Valley. Also in Peru is the city of Arequipa. 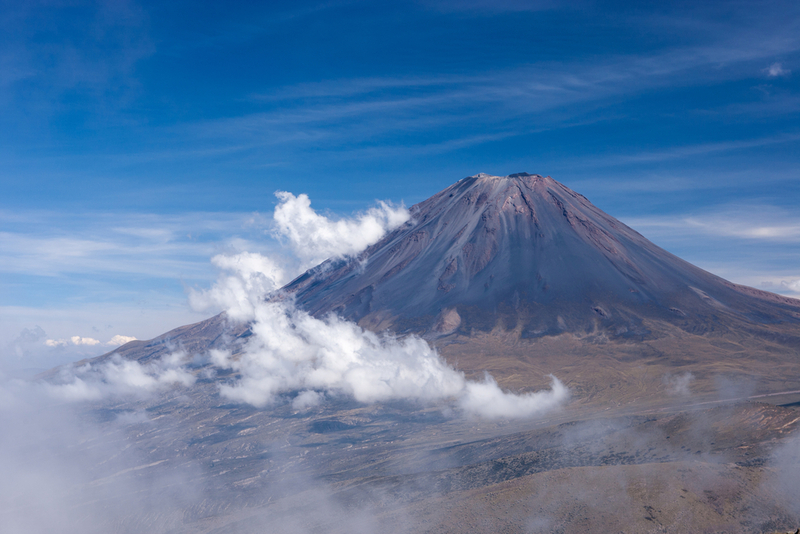 Framed by three volcanoes and sitting in the shadow of the picturesque El Misti volcano, Arequipa is known as the ‘Ciudad Blanca” or “White City” due to the white volcanic stone used in the construction of its buildings. The historic centre is a UNESCO World Heritage Site. Quito, sitting at 2,850 metres high in the Andean foothills, is the capital of Ecuador. It was founded in the 16th century on the ruins of an Incan city and the city has the best preserved and least altered historic centre in South America, now designated a UNESCO World Heritage Centre. Moving on to Bolivia and you find La Paz, high on the Andes Altiplano at over 3.500 metres above sea level. La Paz is the highest administrative capital in the world, and it stretches to El Alto in the highlands guarded by the snow-capped Mt. Illimani that rises to 6.438 metres. 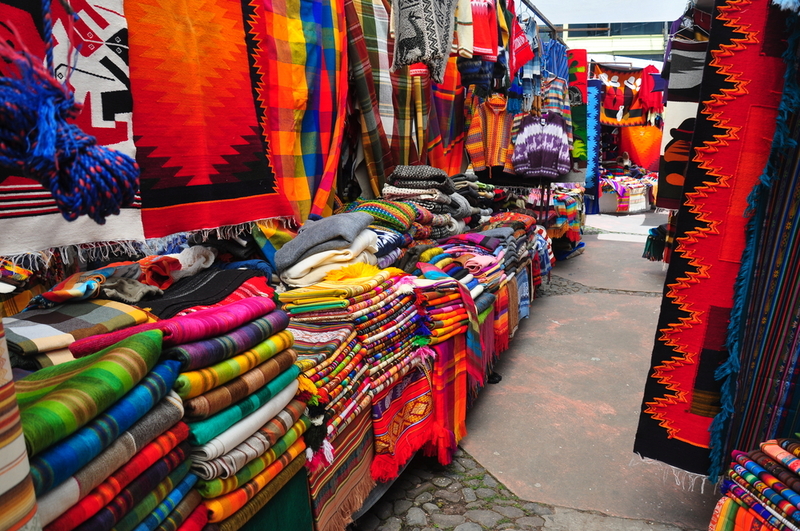 If markets inspire you then look no further than Otavalo – an indigenous market town in the Andean highlands north of Quito in Ecuador. Otavlao hosts one of the most important markets in all of South America. The indigenous Otavaleños are famous for their textile weaving and as well as beautiful textiles you can also find jewellery, musical instruments and leather goods. Equally as colourful is the market at Pisac or Pisaq – a fascinating traditional Andean village in the Sacred Valley of the Incas. Not far from the Inca capital of Cusco and the ancient city of Machu Picchu, Pisac hosts a daily market, but the largest market is on Sundays, when hundreds of market stalls engulf the main square and the surrounding streets. Whilst here you should also explore the Pisac Inca ruins. Sitting on a hill high above Pisac village, the Inca citadel guards the Urubamba Valley below. These spectacular ruins cover a large area and are surrounded by agricultural terraces. Ceremonial baths, temples, water channels and Inca tombs are all waiting to be explored. And so whatever your reason for travel, whether it is to trek, to discover the Inca Empire, to browse and barter in colourful indigenous markets, to experience the stark beauty of the Bolivian salt flats, to wander the streets of historic cities or to just immerse yourself in stunning scenery and landscapes, the Andes will provide you with that experience. Did you get all inspired to go to South America? Chimu Adventures offers a wide variety of tours to this incredible continent. For more information, click here.